Today my nephew Hunter would have been 1 year old. He was taken from us at just 5 months old, and it still boggles my mind how it happened. And how he could not be here with us, hitting those developmental milestones, taking a monthly photo with his huge grin. I imagine that Hunter would have been cruising by now, using furniture to support him as he made his way around. He would have happily looked up when you called his name and babbled at you – maybe even said his first word. I imagine his sweet peach cheeks covered in his first real foods as he delighted in mashing it all over his face. My daughter would have read to him and he would have rubbed the touch and feel books, experiencing the different textures and laughing. We would have tickled him and made him giggle, and he would have started toddling towards us when we opened our arms up to him. His first birthday party would have been a HUGE DEAL. There would have been beautiful coordinating decorations, lovingly handcrafted by his mother, friends, and family members. There would have been a gorgeous scrapbook featuring photos from every month until 12 months. Perfectly decorated cupcakes, and maybe even a cake smash opportunity. So what do we do on his birthday now that he’s not here? We grieve. We mourn the moments we never got to have. And we remember the moments we did have. I asked around to find out what other people do to remember their loved ones on their birthdays. 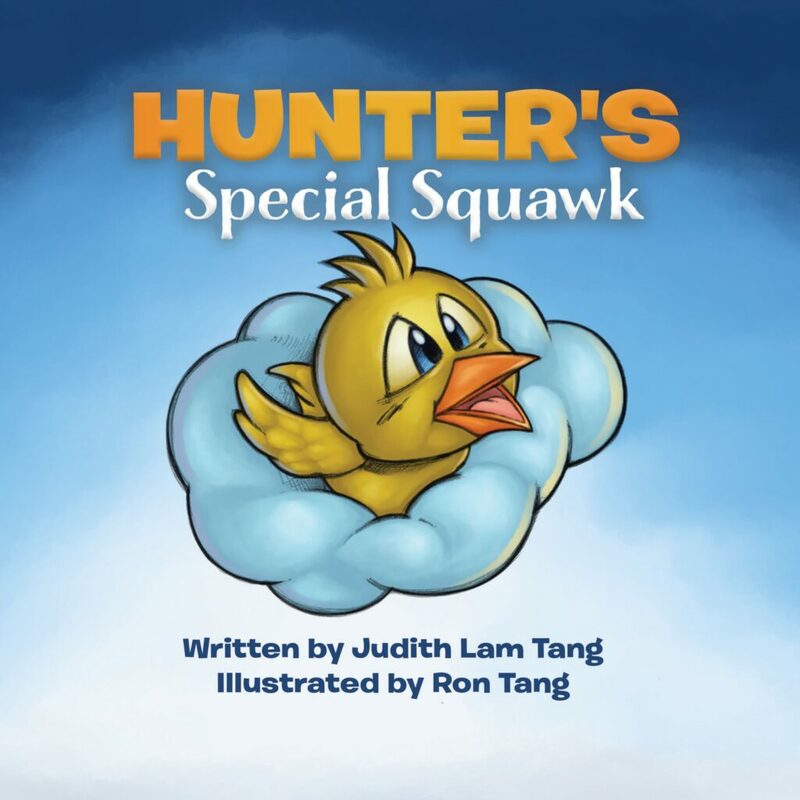 I wanted to do something special, start some kind of tradition that our family could do every year for Hunter. It turns out lots of people had ideas, and though we won’t adopt all of them, I thought it would be nice to share. Because we’ve all lost someone. And when you’re in the throes of grief, you can’t always think of the best ideas. Here are some ideas for how to remember the ones we’ve lost. 1 – Plant a tree or a plant. I love the idea of planting a tree to “give to the earth as he would have”, as someone said very wisely. Someone else said that they planted a different type of rosebush every year, and added to their garden. Another said they planted a bleeding heart plant. 2 – Donate something in his name. I heard amazing ideas of people who had lost babies and donated a care package to a family who lost a child at the hospital that day. Or buying books to donate to the local children’s hospital with their lost child’s name inside. Writing a letter to Hunter, or writing a memory on a paper lantern that is hung up every year, writing in a memory book – lots of ways to celebrate the memories we had with him by writing them down. 4 – Name a star. Someone suggested naming a star after him and then going to the science centre to look at it every year on his birthday. So sweet. Especially since we are all made of stardust. 5 – Make a video. A mother who had lost her son told me that she made a video with pictures and video of him and the whole family sat and watched it together every year. 6 – Have dinner and save him a seat. You see it in movies or on TV sometimes, honouring someone by having an empty seat or place setting. In our case maybe it would be an empty bouncy chair by the table. Whatever you do to remember the ones you’ve lost, make sure you take the time to do it. I think the most important thing for us humans is to remember. To re-experience our time together and to continue to experience our grief. How will we appreciate life otherwise? 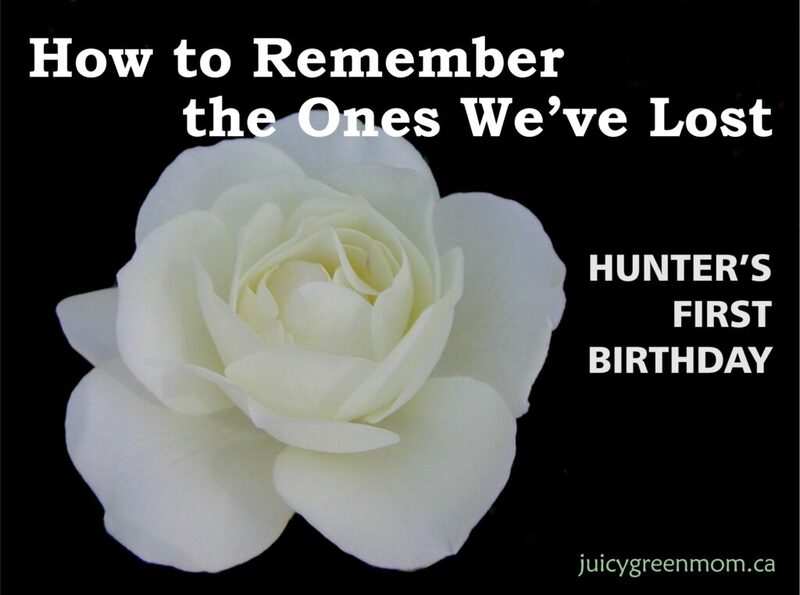 How do you remember your lost ones on their birthdays?